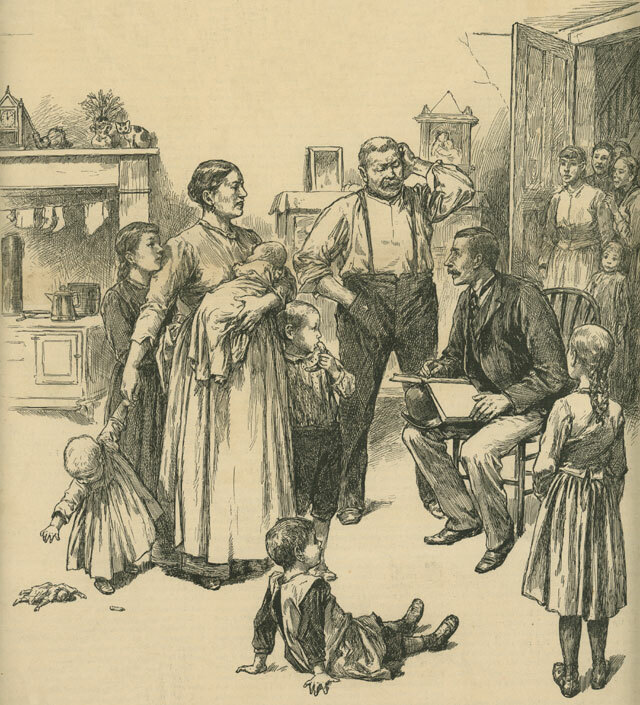 The United Kingdom started their census taking in 1841 and it was done every ten years. 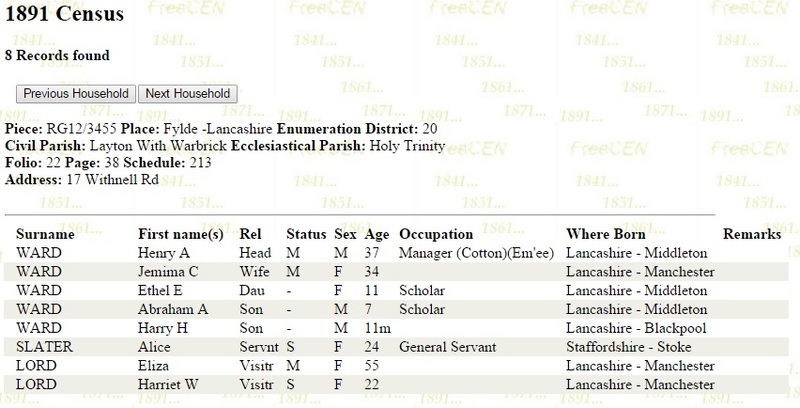 Available online with the site ‘FreeCen.org‘ are the censuses records in the U.K. for all its counties covering 1841 to 1891. By searching using either a full name or just a surname and especially in a specific county, you should be able to view the information for any of those six census reports available. Not every census record for every person is available, however, most are online with this site. A reminder, very common surnames will produce quite a list. Add a birth date range if you can to help narrow down the search. If you find a possible match, click on the tab to the far right labeled “Show Household”. There transcribed will be the district, town, county names along with the actual house and street address. Then listed will all the people listed in that household. Their names, ages, relationship to the head of household, birth place and occupations will be listed. 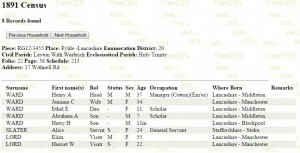 Remember you can check for each of the census years listed – 1841-1891, if that ancestor was alive during those years. Note you can check their neighbors, the house next door and so on. That is good to investigate because other family members might lived within a few houses nearby. Even if a friend or other relative was staying in the household the day of the census, they would be listed there. That will help finding an ancestor who doesn’t appear where you thought they lived – – they might be a visitor in another household. Having the exact house address on ‘FreeCen.org‘, you might be able to locate if that home on a Google map search and see if it is still in existence today. Photos: A census taker at work and the Ward family in 1891 UK Census in Lancaster County.